Doctor Who: The Wilderness Years - The Alan Rickman Movie | Warped Factor - Words in the Key of Geek. 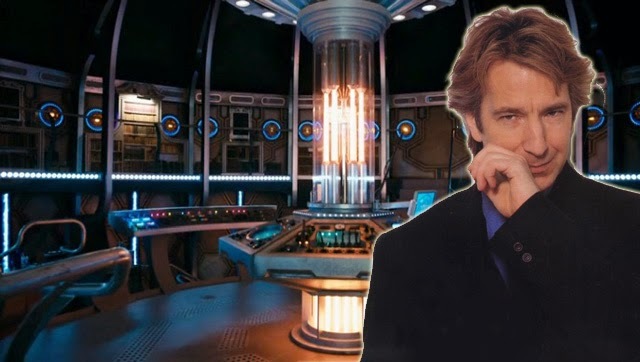 In 1997, a year after Paul McGann had starred as the Eighth Doctor in his one and only TV outing, a company called Daltenreys Limited lodged a writ in the High Court claiming that the BBC had "blatantly breached" undertakings with them by going ahead and co-producing their own Doctor Who television movie. In doing so they had effectively destroyed their planned big-screen production, which was to feature Alan Rickman in the title role, and be directed by Leonard Nimoy. The story begins ten years earlier, in July 1987. Three businessmen; Peter Litton, George Dugdale and John Humphreys, entered into negotiations with the BBC Enterprises to produce a feature film based on Doctor Who. For the sum of £400,000 they acquired exclusive cinematic rights to the character, with the caveat that any movie must stand apart from the ongoing television series (Sylvester McCoy was currently filming his first season of Doctor Who), and that the BBC would have final approval over certain aspects (principal cast, script, etc). Daltenreys Limited then established a consortium of around 20 investors, amongst them were several famous names including Brian Ferry, and formed Coast To Coast Productions. A script was completed by Mark Ezra, provisionally entitled The Return Of Varnax. 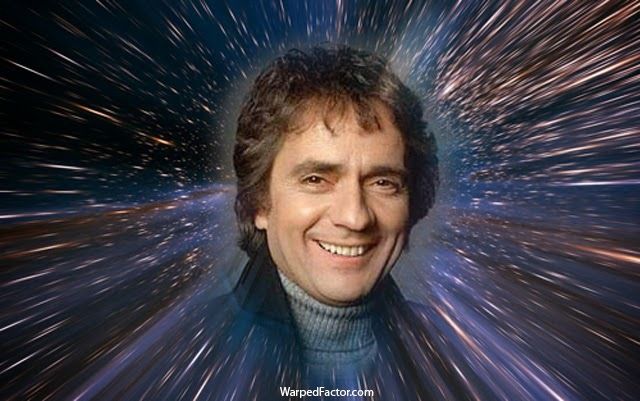 At this time Dudley Moore was approached to play the Doctor, with Superman II director Richard Lester attached to direct. Johnny Byrne was bought in in early 1988 amidst concerns that the script was "too small in scale". Byrne had previously written The Keeper of Traken, Arc of Infinity and Warriors of the Deep, and set about giving the story a complete overhaul. His new script went under the name of Doctor Who: Last of the Time Lords, with the story involving a chase through time and space in which the Doctor and his companions preventing the villain of the film from using a pair of unique crystals to create an all-powerful being. By 1990 Coast To Coast Productions had changed their name to Green Light, and both Moore and Lester had left the project. Several alternate actors had been approached for the leading role, including Tim Curry, John Cleese, Albert Finney, Pierce Brosnan and Denholm Elliot. Three others seemed to have been serious contenders to portray the Doctor, they were Alan Rickman, Rutger Hauer and Donald Sutherland. At this time Caroline Munro (Naomi in The Spy Who Loved Me) became the first 'official' cast member, when she was signed up to play Cora, a new Gallifreyan companion for the Doctor. The consortium were struggling to get any firm Hollywood interest or distribution deals in place, a necessity if the movie was to recoup the planned budget. At one time both Warner Brothers and Paramount expressed an interest in financing the film, but nothing came about with either. Daltentreys extended their option with BBC Enterprises, and their new agreement stated that if filming was not underway on a motion picture by 6th April 1994 then all rights would revert to the BBC. Eventually in 1993 a three movie deal was reached with a European production company called Lumiere Pictures. A new screenplay was commissioned from Denny Martin Flinn, the script co-writer of Star Trek VI: The Undiscovered Country, and keeping it in the Trek family Leonard Nimoy was approached to direct. At this time Alan Rickman was offered the role of the Doctor and entered negotiations. In early 1994 rumours began to circulate that Steven Spielberg was planning a Doctor Who movie of his own. Negotiations with Alan Rickman were said to be approaching the final stages, but company director John Humphreys claimed that Daltenreys were "obstructed" by BBC executives and so were unable to gain their final approval. Just a few weeks before their rights deal expired the consortium, and the world, discovered that the BBC were entering a production deal with Steven Spielberg's Amblin Entertainment to produce a Doctor Who movie, albeit a TV one. By 6th April 1994, the Daltenreys film had not begun filming, and so accordingly the rights returned to BBC Enterprises. It wouldn't have mattered much anyway as the previous month Lumiere Pictures had withdrawn from the project, after having spent a £1 million on it themselves. Daltenreys cited the lack of support, and even hostility, from BBC Enterprises towards the film as the reason for Lumiere's withdrawal. And so, with a belief that whilst they held the exclusive film rights the BBC were also in discussions with other parties over higher profile Doctor Who productions, effectively killing their project, Daltenreys filed legal action. 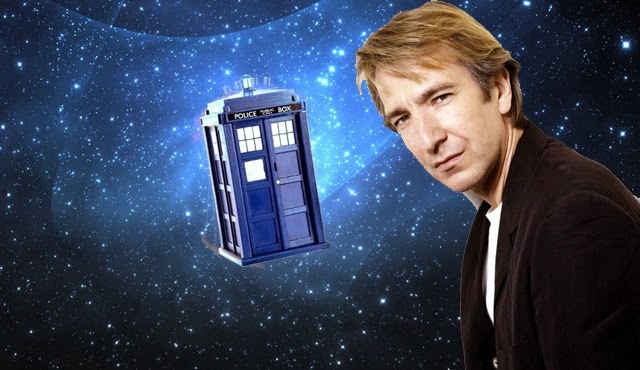 Although it's a shame that a big-screen Doctor Who movie was never produced in the 1990s, especially considering I've always thought Alan Rickman would make a great Doctor, after discovering the final draft of Denny Martin Flinn's script it may have been a blessing. According to the book Doctor Who: A History by Alan Kistler, Flinn's story opened with the Doctor, a Time Lord adventurer, saving Shakespeare from being killed by a bearded man in a pub. He's joined on his travels by a mute K-9, a man from Egypt circa 2500BC and Amelia Earhart (who is called Amy throughout), entering the Tardis before her flight across the Atlantic. The Doctor encounters a former Time Lord friend, turned enemy - this was supposed to be the Master but the BBC had already nixed that idea so he was retitled Mandrake. Twice in the script the Doctor and Amy inexplicably kiss to thwart Mandrake's plans. Another segment involved the Doctor and Amy drinking wine laced with LSD, resulting in Amy's death. Much of the rest of the story revolves around a race between the Doctor and Mandrake to locate the segments to the Key To Time, with the final piece hidden at a 1960's rock concert by The Who. With Mandrake seemingly in possession of the Key To Time, the Doctor returns to the pub at the time of the Shakespeare fight, only this time whilst the Time Lord is saving the Bard the bearded man happens to fall on his own knife and dies. He is then revealed to be Mandrake and so the events of the movie never take place, meaning Amy never died and so makes her historic flight. That motorcycle chase in San Francisco doesn't seem like such a bad idea now, does it?